The idea of this group combines my passions for film and gender studies. Initially we opened it up to all woman of any skill level, but we quickly realised the gap we wanted to fill was for young or emerging women lacking experience. Being recent graduates ourselves, we both found it very hard to know what to do next and how to actually get work in the film industry. And this is something a lot of the women we met at the meet-up also found. There is a gap between study and industry work where we are losing our female filmmakers. Tertiary institutes have relatively even numbers of men and women. Then in the industry, the numbers drastically fall. What is happening in the middle there? Where do the women go? Maybe this network start to help push through the next generations of kiwi women and encourage them to keep pursuing filmmaking. There are already well-established groups doing great work. What needs did you identify that are not met by WIFTNZ and other guilds, or by Welly’s Emerging Artists Trust (EAT)? The gap I mentioned in between study and work really points to a lack of support for women who are not yet working in the industry, and lack practical experience. WIFTNZ provides so many great events, which are beneficial to women at any stage, but they are largely for women in the industry, or with significant experience. 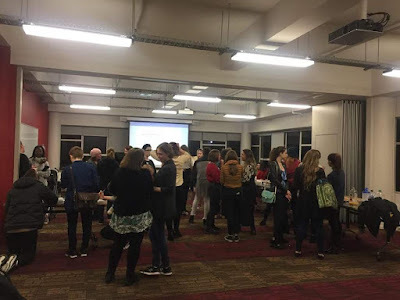 It also became evident that only a very small number of women that attended our event were members of WIFTNZ, so there is a lack of knowledge about the events they do put on within the younger/less experienced demographic. EAT also has really great initiatives for emerging artists, but less so for the women who haven’t had much practical experience yet. 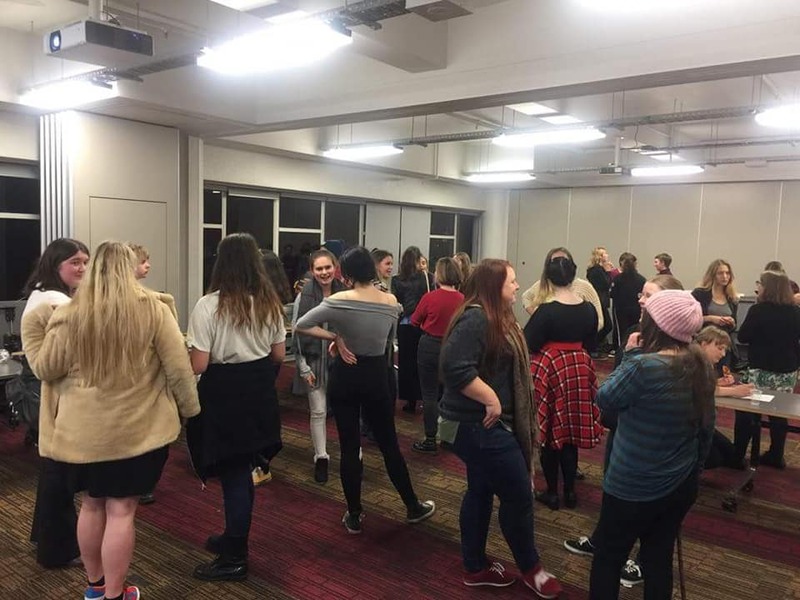 I think groups like ours can really help women to gain experience and confidence, by meeting collaborators and working on small projects together, and participating in practical exercises and workshops in a supportive environment that focuses on encouraging each other and developing our skills. Being a part of this group provides the opportunity to meet other like-minded female filmmakers and gives us a sense of community, and energies to bounce off. How did the meet-up go? We were so happy with how the meet-up went! It was the first time I had been in a room with so many women who share the same passion. The energy in a room of 50 filmmaking women was so exciting and we felt so energised by that. It was so empowering and it felt like we were all ready to get out there and do it together. I think it’s something a lot of women filmmakers would love to be a part of. 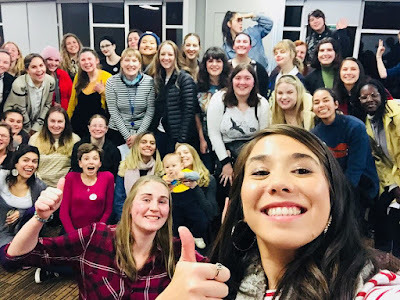 Many of the women that came let us know that they were really glad we’d decided to organise this, and felt excited to be a part of it and because we are fairly recent graduates ourselves we all want to get the same thing out of it. You made a survey at the meeting. What did you learn from that? The desire for a community to be a part of and to be connected to, a community of like-minded women that provides a space for networking, collaborating, sharing work, discussion on specific film skills and a space for practicing and improving those skills. There was a lot of emphasis on wanting to have a group for us all to work on projects together, to practice our skills as a group. Someone mentioned that actors do improvising workshops to continually practice their skills and that filmmakers need an equivalent to encourage growth and learning. For example, mini 48- hour-style exercises for emerging women, anthology films we can create together, short film festivals for emerging women judged by industry experts etc. More support to help bridge the gap between study and work. Many of the women that attended were either still at film school, or recently graduated and feeling stuck not knowing what to do next. The general feedback was that there wasn’t much support from the industry to help women filmmakers bridge that gap. What pathways could be more established to encourage emerging women filmmakers to pursue careers in the industry? If we want those gender stats to change, this is a gap that needs support. More practical workshops and talks about specific skills in relation to the industry, specifically targeting women with no industry experience, e.g. workshops on directing, camera, editing, screenwriting and advice on how to get into those areas, more established practical mentoring schemes. It was interesting to read this feedback, as there was a definitive shared sense of what type of support this group wanted. Some of it we can aim to do ourselves (like building that community and improving our skills together), some of it other industry organisations could consider. We are going to send our feedback to WIFTNZ so they can consider some of these ideas. A whole lot we hope! We are holding our second meet up on 16th August at Toi Poneke Arts Centre where we'll screen the work of some of our members. WIFTNZ is in the process of organising a workshop for emerging women filmmakers in Wellington with tips of what to do after study, freelance work, and hopefully some advice from the women out there doing it! From there, we’ll keep having a mix of social meet-ups and panel discussions/workshops on specific areas of filmmaking. We’d love to get some guest speakers in for some of our events as well. And screenings of women’s work! We just want to keep the momentum going and really establish a collaborative supportive community and then go from there. We’ve got plenty of big ideas up our sleeve, so we’re hoping to get a team of us together to figure out what this group can do. &! A few of the woman who attended the first meet-up are now collaborating on a short film, Walk a Mile, and are crowd funding some money for it! We can help!